The following is a guest post by my lovely sister, Madeline. Enjoy! 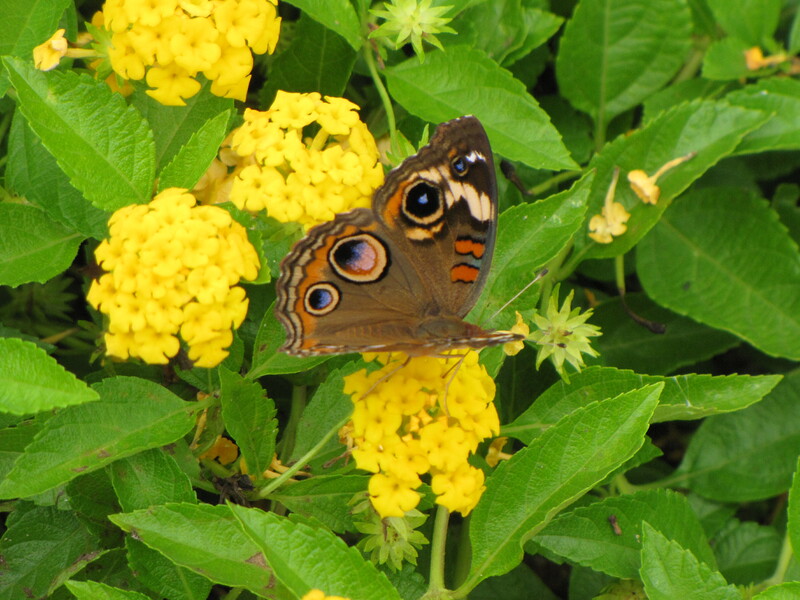 Ashley took this photo of a buckeye butterfly in 2009. What is a mother? Someone who cooks for you? Cleans up after you? My mom is so much more. She’s a confidant and she’s my best friend. She gives me the best advice and has taught me to be a strong warrior and champion for Jesus. My first memory of Mom is from when I was around two years old. I was waiting for my sister to get off the school bus, and Mama was playing with me and giggling and giving me snacks. Little did I know the important role Mama would have on my life. When I was 13, I noticed how my friends looked up to her and how she was always there for them if they needed anything. She would continue to be a mama to so many of my friends over the years. When I was 17 years old, I came home past my curfew one night. She chewed me out and let me know that I was the kid, that I had rules, and I’d better obey them. She knew when to be my parent and when to be my friend. Little did I know, I would need her to be both throughout my life. When I was 18 years old, I went through a breakup with my first love and numerous lies were spread about me. Mama continued to tell me that it didn’t matter what people said, that my people knew me and my life would speak for itself. Little did I know how much her advice would mean to me and how her courage would rub off on me. When I was 19 years old, I was hospitalized with a serious illness. It took over two years for me to get well. Mama was there with me every day, fighting with doctors and nurses, praying for me, taking care of me. She took my pain on her shoulders and helped me through that terrible time. Little did I know how strong and fearless Mama could be, and how much I would need her during this time. When I got engaged and married to my favorite nugget of a Cajun husband when I was a young 22 years old, she supported me. I only wanted 20 people there at my wedding, but I knew some people might hate my guts for not including them. Mama encouraged me to do it my way – It was my day! Little did I know that, even in good times, I would need Mama to be my champion. These are just examples of how Mama has been there for me, supporting me, encouraging me, and keeping me on the straight and narrow. I don’t know what the future holds, but I know that Mama will be in my corner every single day of my life. That’s what a mother is. And I don’t know what I’d do without mine!